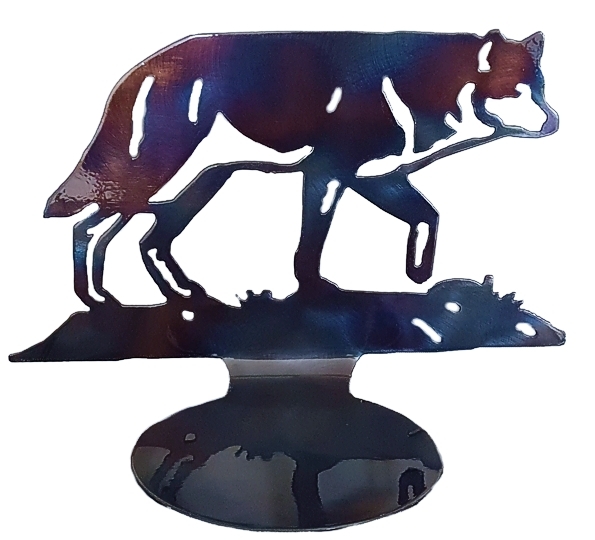 The Wolf Large Metal Candle Holder is handcrafted in the USA. It has a large base for a candle or figurine that measures 5.75" in diameter. The metal has lovely blue and brown hues. It is powder coated to protect the finish. This is a unique piece that would make a Wolf lover very happy.